All three are excellent edible oils. Hopefully by the end of the article, you will be confident about your choice of oil. If you still have questions to ask, do please contact me by leaving a comment at Back Chat or email me at les@leslieback.co.za . I would love to be able to help. Definitions and info to guide you through a maze of acids and acronyms to the finishing line! Don't get all panicked when you see this list, just refer to it if you need to. OMEGA 3 - A fat essential to good health, found in Fish oil and a few other foods such as Flaxseed (Linseed) and walnuts. It is important for pregnant mothers to ensure an adequate supply during pregnancy. It is equally important to note here that women who are pregnant or breastfeeding should not take any fish oil supplements without consulting their doctors. This is an Omega 3 fatty acid. To a limited extent the body turns A.L.A. into E.P.A.and more slowly into D.H.A. SATURATED FATTY ACIDS - They are found mostly in butter, cheese and fatty meat. Some vegetable oils (coconut and palm) also contain saturated fat. In the body, scientists believe that antioxidants may contribute to reducing cancer and heart disease. Vitamin C and E are powerful antioxidants. We are all familiar with the Avocado Pear . This fruit like no other has a fleshy, buttery consistency and a slight flavour of hazelnuts. The flesh is a glorious yellow green colour. The point is, are we as familiar with the superb oil that is obtained from this flamboyant fruit? The ripened avocado is crushed and mixed. It is cold pressed and the virgin oil emerges. The oil and the waste are separated by centrifugation. This is a process of separation using a machine known as a centrifuge. It is then carefully refined to produce highly stable oil with a very high smoke point. 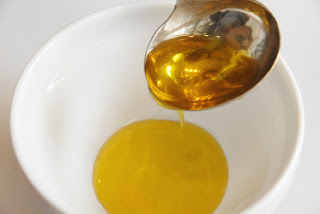 The oil is high in the important antioxidant, vitamin E. It is cholesterol and fatty acid free. Importantly, it contains the good monounsaturated fatty acids (see glossary of terms), Omega 3 and Omega 6, which cannot be manufactured by the human body, but are important for eyes, hair, skin, brain, heart, nerves, joints and hormone and immune systems. This versatile oil has many uses for our health and beauty. It is delicious on salads. It makes a stir-fry special. When cooking with avocado oil, less oil is required for frying and sautéing as avo oil has a high viscosity. It is also delicious on the skin. Older drier skins sing when avocado oil is applied. It can be in the form of skin products, lotions and massage oils. It adds toning, softening and restructuring properties to the epidermis (the outer layer of the skin). It can also be used on the fragile and sensitive skin around the eyes. The oil penetrates the skin and leaves no surface oiliness. Damaged hair benefits when avocado oil is introduced in shampoos. It is entirely safe to massage onto a baby’s skin. It is a protection against cold and wintry weather and sunlight too. It can be used to soothe and relieve stinging and burning. The fruit is delicious and healthy. The oil helps us to remain looking deliciously young and beautiful. Will you become a devotee of the oil of the grape or the oil of the olive, or both? Also known as Grape Oil, this oil is pressed from the seed of various varieties of grapes. Although it is sometimes known as a vegetable oil, it actually comes from fruit, a splendid by-product of winemaking. It has a clear light nutty taste and is often considered a gourmet alternative to olive oil. The health properties of grape seed oil have been appreciated for over 100 years. It is high in antioxidants and contains vitamin E. One tablespoon of grape seed oil provides nearly all the recommended daily allowance of vitamin E.
It is reputed to lower bad cholesterol levels. It is polyunsaturated oil that is rich in linoleic acid. (See glossary of definitions.) It is reputed to contain the higher amounts of linoleic acid than any other oil or food source. Because of its fatty acid composition and antioxidant content, it is extremely stable and durable. It has a high smoke point of 160ºC (320ºF) and among cooking oils produces the least smoke and danger of burning. When cooking with grape seed oil, you will notice that it does not burn or splatter like other cooking oils. It is popular with chefs who consider the taste neutral and perceived not to interfere with food flavours. Normal cooking requires only about a half to one third quantity of grape seed oil to achieve the same results as when cooking with other oils. Therefore the consumption of total oils (fats) in meals is reduced. Grape seed oil can be used as an ideal ingredient in a salad dressing, marinating, cooking, deep-frying and baking. Grape Seed Oil is also a preferred cosmetic ingredient for damaged and stressed tissues. It is a wonderful all over moisturiser and specially effective for repair of the skin around the eyes. Men can use it as a lubricant when shaving. Pregnant women can use it to reduce the appearance of stretch marks. It may be stored at room temperature or in the refrigerator . If not in the refrigerator, a cool, dry place is recommended. One should avoid humidity and heat during storage. As with all cooking oils, it should be kept out of direct light. HOW DOES IT COMPARE WITH OLIVE OIL? There is always the comparison with olive oil. Olive Oil is mostly monounsaturated. Grape Seed Oil is mostly polyunsaturated. So remember to ‘Open Sesame’ and enjoy the benefits of this highly nutritious and flavourful oil. ‘Open Sesame’ and this nutritious and uniquely flavoured oil will be revealed to you. Sesame oil is of vegetable origin. The sesame seeds pop open when ripe almost as if they have been ordered to by Ali Baba’s command . The oil is obtained from the seeds by pressing. One uses roasted seeds to produce dark oil with an extremely strong flavour. 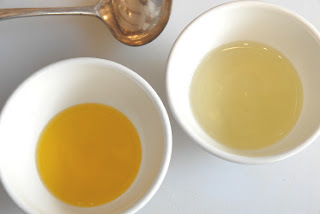 This version of the oil is widely used to give added flavour to Chinese and Asian dishes. A few drops will give a strong flavour of sesame. This oil is hot pressed. The other version is cold pressed and uses unroasted seeds to make a well flavoured, but much lighter oil. a) It is important to note that the amber coloured aromatic oil made from pressed and roasted sesame seeds, while a popular ingredient in Chinese cuisine, is not for use as cooking oil as the flavour is too intense and it burns easily. It can be used in marinades, salad dressings or in the final stages of cooking. Recipes often call for a few drops of this oil to be drizzled on a dish before serving. b) The non-roasted sesame oil, sometimes found in supermarkets, is not a good substitute for use in Oriental cooking. The lighter oil is found in Indian cooking, while Asian countries prefer the darker variety. The lighter oil is excellent for everything from salad dressing to sautéing. It has a high smoke point of about 420ºF (215ºC). Sesame oil will keep for several months if stored in a cool dry place. If stored correctly it is not likely to go rancid. Sesame oil is found in holistic preparations for everything from treating infections to stimulating brain activity. It is low in saturated fats and may lower blood pressure. 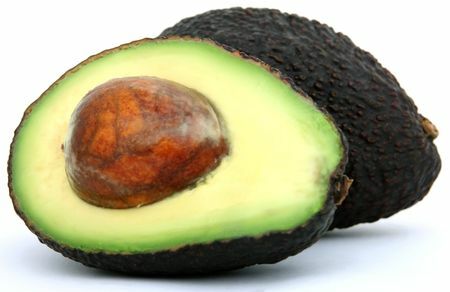 It is rich in mono- and polyunsaturated fats. Like olive oil, sesame oil is considered good for lowering bad cholesterol levels. It is rich in vitamins A, B and E, as well as the minerals iron, calcium, magnesium and others. It contains linoleic acid, which has antibacterial and anti-inflammatory effects. It also contains lecithin and this may explain why it benefits the brain and nervous system. Sesame oil contains two unique chemicals, sesamol and sesamin. They are very powerful antioxidants. Used regularly, sesame oil is considered excellent for reducing stress and tension, nourishing the nervous system and preventing nervous disorders, relieving fatigue and insomnia and promoting strength and vitality. Click here to view Part One of ' A Symphony Of Oils'.